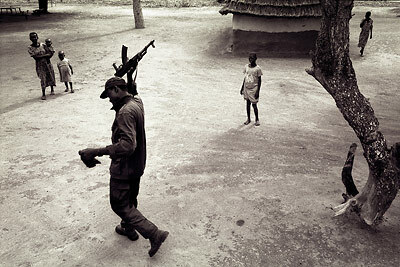 "Soldier enters Kansuk" An SPLA soldier enters the town of Kansuk in Southern Sudan. The town is only 10 km away from the front lines. The orphan children in this town have little choice but to join the SPLA and continue the fighting.